With over 27 years in the industry, Albert's Tree Service is the #1 choice for Los Angeles area tree service. We have a great reputation in the community for our quality work and professionalism. Our tree specialists have the training, knowledge and experience to handle all of your commercial and residential tree service needs. We have top of the line equipment that allows us get to hazardous removals and jobs other providers cant. We are more than happy to come by for a free estimate. Aper's Tree Service and owner/operator Rush Yakhaman has serviced the greater Los Angeles area for all of its tree care needs for over 14 years. Our primary goal is to provide high quality service that meet or exceed your expectations. We are committed to great customer service and customer satisfaction. We are more than happy to come out for a free estimate. For over 12 years, Commercial Tree Services has serviced the greater Los Angeles area for all of its tree service and landscaping needs. Our tree specialists are thoroughly trained and experienced in all faucets of the industry. We strive to extend outstanding customer service and work with you on a plan to accomplish your goals. We also offer recurring commercial landscaping service. Family Tree Service is your local specialized tree care provider for the greater El Monte area. In business for over 18 years, our family owned business has established many long standing relationships with our customers over the years and have a great reputation within our community. We are constantly running promos and specials- give us a call today for a free estimate. Gabriel's Tree Services & Landscaping has served the greater Los Angeles area for all of its tree service and landscaping needs since 1990. We are family owned and operated and a customer satisfaction is our priority. We do the job right every time and adhere to the strict guidelines provided by the International Society of Arboriculture. Our crews are properly trained and experienced to handle all of your commercial and residential tree and landscaping needs. We have a great track record with our clientele and look forward to the opportunity to work with you. For nearly a decade, Natural Wonders Trees Inc. has been the #1 choice for the Los Angeles, Ventura and San Gabriel Valley areas for all of their tree service needs. Our crews are trained and highly knowledgable to handle all of your commercial and residential needs. We are dedicated to exceeding expectations by our attention to detail and addressing your specific requests and needs. We have top of the line equipment to ensure the job is done safely, properly and effectively. We are also licensed, bonded and insured for the safety of our crews and your property. New Image Landscaping & Tree Service is a customer satisfaction driven property maintenance provider for the greater Los Angeles area. Owner/operator John Lampasona Jr. has over 17 years experience in the industry and is passionate about landscaping and tree care. Our company has four core values: Safety, Quality, Teamwork and Integrity. We go above and beyond expectations from start to finish on every job and have the track record to prove it. Whether you need an emergency or hazardous tree removal, trimming or removals of shrubs/hedges or have a landscape that needs redesigned- we handle it all. Established in 2007, Pacific Coast Tree Experts is the premier tree care provider for the greater Ventura, San Gabriel Valley and Los Angeles areas. With over 35 years experience, our tree specialists have a thorough knowledge of our native trees and expertise that is unmatched in the area. We are dedicated to our workmanship and strive to set the standard to tree service in the industry. Whether you are looking for some light tree maintenance or lot clearing tree removals- we handle it all. Your Way Tree Service is the award winning tree care provider for the greater Tarzana area. We have been awarded the Best Tree Cutting Service award by the City of Tarzana 4 years straight. We provide a safe, efficient and professional service for a price that fits within your budget. We have the best crews in the Los Angeles area and have the equipment to handle all of your tree service needs. We pride ourselves on our attention to detail and go the extra mile on every job to ensure complete customer satisfaction. We would love the opportunity to help beautify and protect your property. It's important to only work with fully licensed and insured contractors in Los Angeles. Los Angeles tree removal cost is one of the most important factors for customers looking to hire. 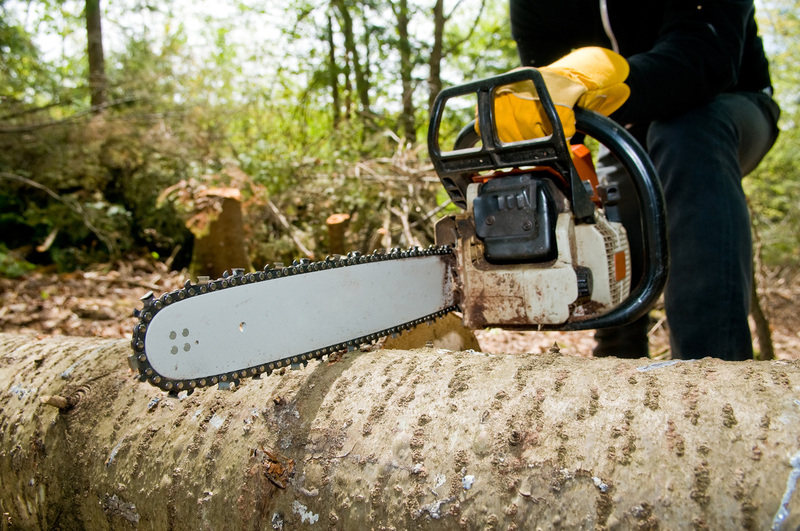 Want to let customers know you are a top ranked Los Angeles tree removal contractor?